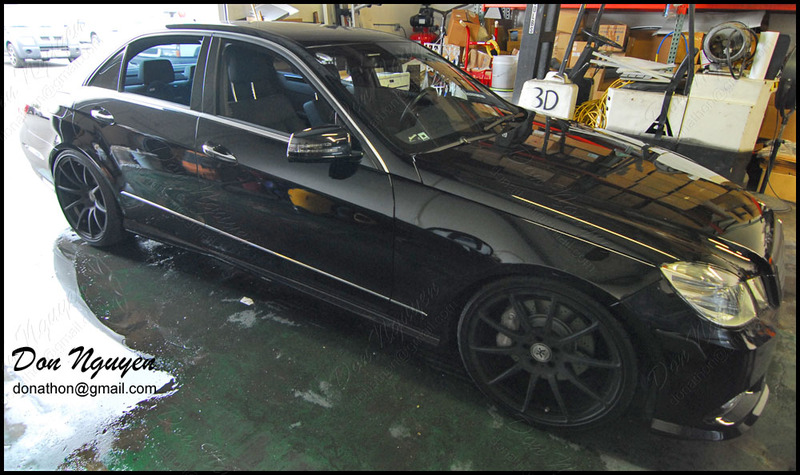 The owner of this black Mercedes Benz E550 sedan came to me in Anaheim Hills / Orange County to have me black out his chrome / brushed aluminum window trim and also had me lightly tint / smoke the tail lights on his car. He was overall going with a darker theme with his car, so these two changes really help tie that theme together. I took some pictures of the tail lights inside and outside to show how it looks like in different lighting scenarios. Also, for the trim, we went with the matte black finish over the gloss finish for his car.